I believe blogging help me learn better. In order to write about a subject, first I have to understand it throughly. Blogging is a way to documentating all your thought, your understanding into words. 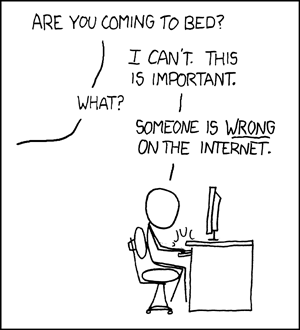 Many people I talked with afraid of being wrong on the Internet. Don’t be. I do it all the time. I learnt a lot from the feedbacks. If the feedback is right, you then learn something new, which is great. That’s the whole point, right! If you’re wrong, please don’t get offended. A feedback could be wrong but it will also help you understand the subject better and get better at defending your view. Either way, it helps. Actually, being wrong may actually speed up the learning process. You will be surprised at number of people can’t wait to prove you wrong.